It's been forever since I last blogged. I got caught up with the move, vacation, not having the Internet, a rush of school work, and July has passed us by. I have so much to share with you- and especially want to thank my reading for the emails, facebook messages, and phone calls telling me to get myself together. After such a long hiatus, where do I start? Passing along something good... this is an analogy a friend shared with me. Although it is written within the context of a mother raising a disabled child, I really found that it could be applied to anyone who is dealing with the loss of a dream of their own. I was so touched, and I hope you enjoy it as well. When you're going to have a baby (fill in with personal experience here), it's like planning a fabulous vacation trip- it Italy. You buy a bunch of guide books and make wonderful plans. The Coliseum. The Michelangelo David. The gondolas in Venice. You may learn some handy phrases in Italian. It's a very exciting. "Holland?!?" you say. "What do you mean Holland?? I signed up for Italy. All my life I dreamed of going to Italy." The important this is that they haven't taken you to a horrible, disgusting, filthy place, full of pestilence, famine, and disease. It's just a different place. So you must go out and buy new guide books. And you must learn a whole new language. And you will need to meet a group of people you never would have met. It's a different place. It's slower-paced than Italy, less flashy than Italy. 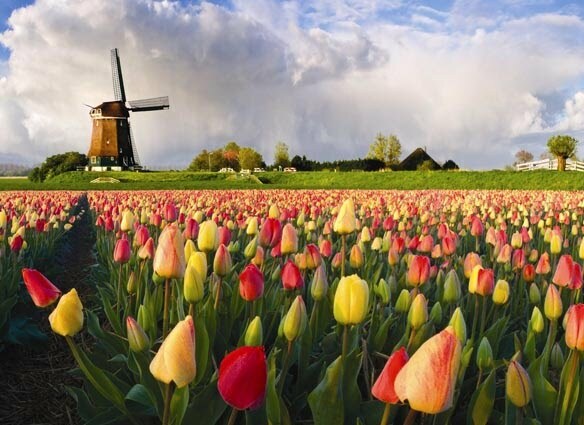 But after you've been there for while and you catch your breath, you look around... and you begin to notice that Holland has windmills... Holland has tulips. Holland even has Rembrandts. But everyone you know is busy coming and going from Italy, and they're all bragging about what a wonderful time they had there. And for the rest of your life, you will say "Yes, that's where I was supposed to go. That's what I had planned." But... if you spend your life mourning the fact that you didn't get to Italy, you may never be free to enjoy the very special things, the very lovely things... about Holland. It's good to be back. I've missed the blogging world. Can't wait till fill you in on what we've been up and get some summer photos on the blog!